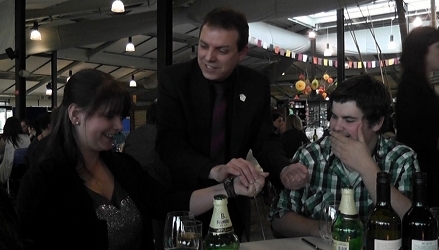 Russ Styler's combination of amazing sleight-of-hand magic and humour are the key factors making Russ a most popular choice of magician for corporate events, weddings, birthdays and most other special occasions in Derby and all over the UK. A magician with over 20 years of experienced, Russ has amazed and entertained guests at just about every kind of venue for every kind of event, party or occasion there is. From events at top London venues like Grosvenor House, The Dorchester and Hilton Hotels to the more intimate surroundings of the local pub restaurant, Russ has done them all! Russ has also worked summer seasons as close-up and cabaret magician in the UK and Scandinavia and is a member of the Magic Circle, The International Brotherhood of magicians and Equity. A magician with over 20 years of experienced, Russ has amazed and entertained guests at just about every kind of venue for every kind of event, party or occasion there is. From events at top London venues like Grosvenor House, The Dorchester and Hilton Hotels to the more intimate surroundings of the local pub restaurant, Russ has done them all! 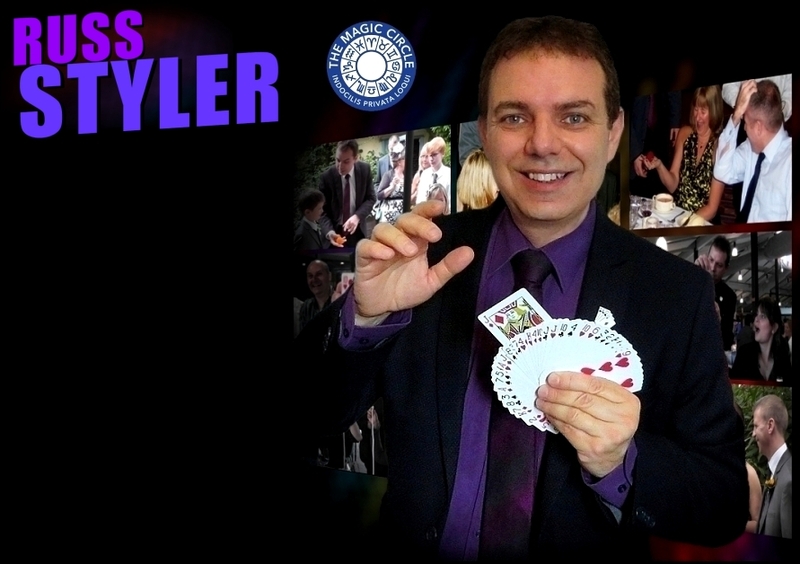 Magician for hire in Derby, Derbyshire and all UK. 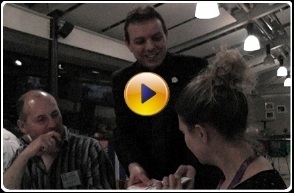 Table magician / mix and mingle magic or shows. Make yours an even more magical, memorable occasion - contact Russ regarding cost / prices and futher information. 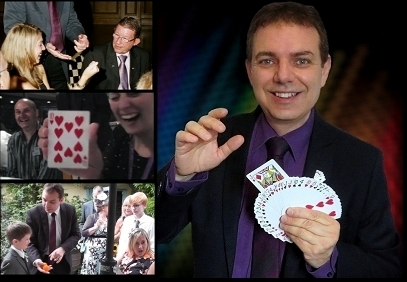 Magician for hire in Derby, Derbyshire and all UK. Table magician / mix and mingle magic or shows. Make yours an even more magical, memorable occasion - contact Russ regarding cost / prices and futher information..